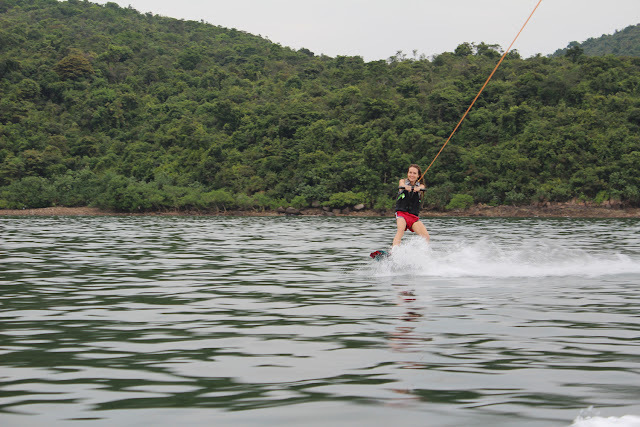 Yesterday I went to Nam Sang Wai for the first time. Along with Sam Ka Tsuen (三家村) in Yau Tong, and the High Island Reservoir in Sai Kung, it's one of the best spots for picture taking in Hong Kong. Nam Sang Wai is located in Yuen Long, in the western New Territories. 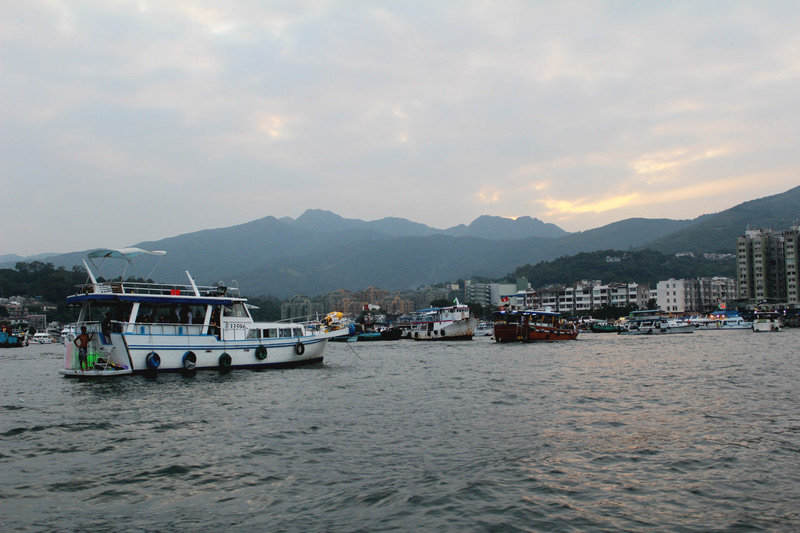 To get there you just need to take the West Rail Line and get off at Yuen Long. Once there and after walking for about ten minutes, you will need to take the boat on the picture below ($5 per person) to cross the river and get to Nam Sang Wai. 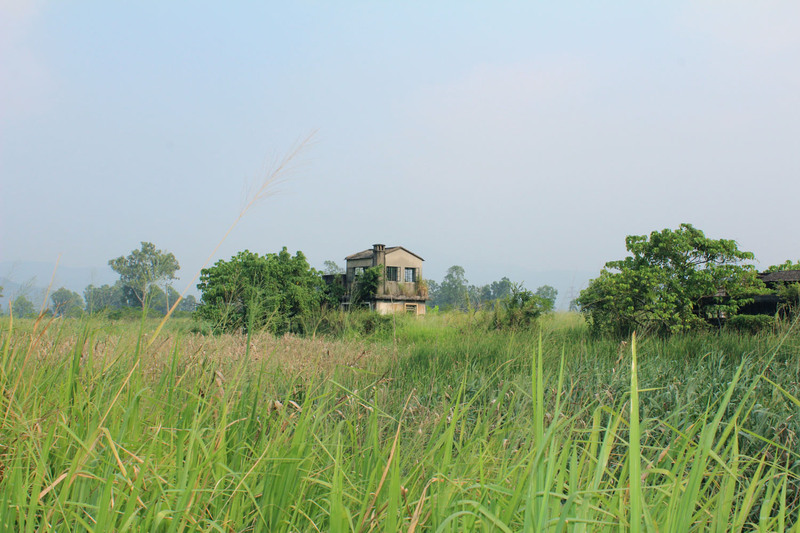 I truly loved the place, a perfect spot for countryside pics and a part of Hong Kong we don't get to see often! 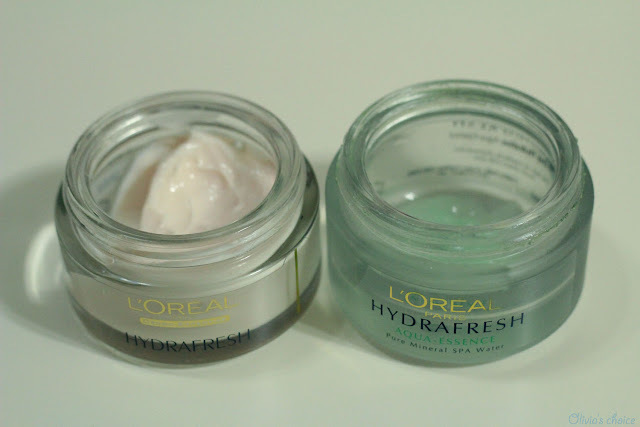 I have been using L'Oréal Hydrafresh range for over a year now as my daily moisturizer. Hydrafresh comes in two versions: Hydrafresh for Normal and Combination Skin (green one), or Hydrafresh for Dry and Sensitive Skin (pink one). I have a normal to combination skin, which is why the one I always use is the green version. Once in Spain though, I run out of daily moisturizer and could only find the pink one, so I decided to give it a try. I'd say both of these moisturizers are great value for money. This is specially true in Europe where they cost around 7 euros. The price here in Asia is about doubled, as with most of the products imported from Europe. Hydrafresh Aqua-Essence (green one) is a really good product. 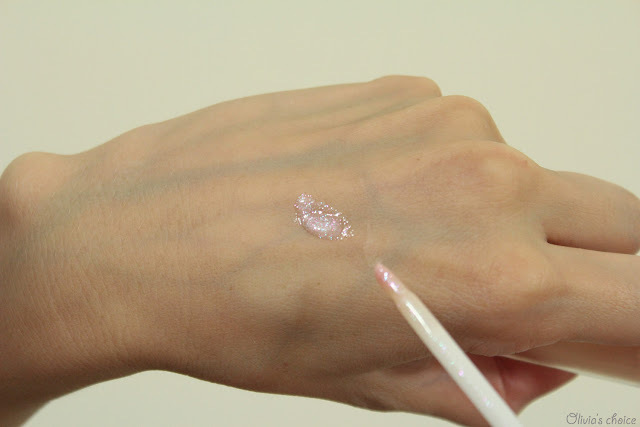 Thanks to it being a gel, it feels extremely light and it provides a soothing feeling immediately after application. I love to use it under my BB cream (I almost never use foundation, but let me tell you more about that in another post). 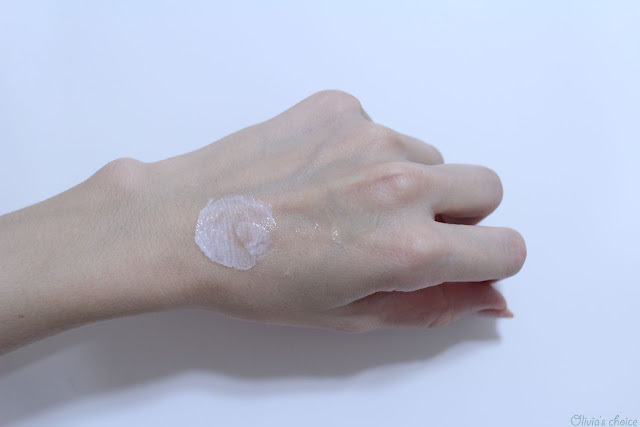 BB Cream is like a tinted moisturizer, so you don't really need to use a base before applying it, but my skin has always felt much better with some sort of protection from it. I've been reading some people's reviews on the Hydrafresh for Normal and Combination skin, and a lot of them seem to complain about this product not being hydrating enough. I'd like to point out that this is a gel moisturizer specially designed for combination skin. The words gel + combination combined, should already make you notice that this is going to be a very light moisturizer. It is definitely not recommended for people with dry skin, or even for people with combination skin during cold winters. The pink version, for Dry and Sensitive Skin, it's a cream rather than a gel, and it's a bit too oily for me. I guess it will be better in winter, but as for now I don't really use it. This is in fact my 3rd bottle of the green version, but I wouldn't repurchase the pink one. I guess it's my fault for buying a product that is not for my skin type! Would I recommend it? Yes, I've repurchased the green moisturiser about three times. It's a very good option for an affordable daily moisturiser. If your skin is dry, go for the pink one! Yesterday I finally decided on going to Long Ke beach in Sai Kung. I had been wanting to go there for years, but never really ended up doing it. 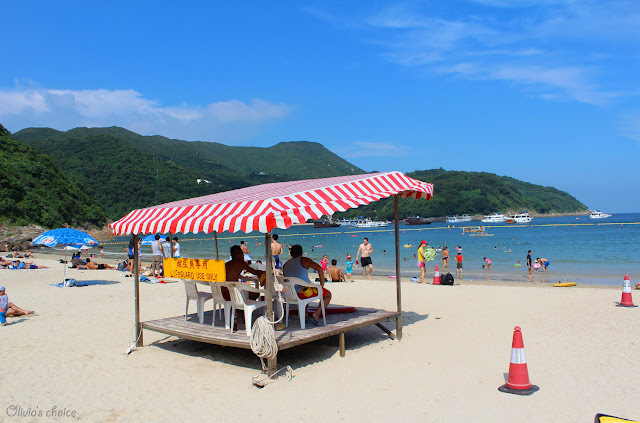 The reason why this trip requires a bit of preparation in advance is that you cannot get to Long Ke by any means of transportation, you need to walk at least 30 minutes after previously having taken a cab for another 30 minutes from Sai Kung. Alternatively you can skip the taxi and hike all the way, a nice hiking path that will take you about 3 hours to complete. 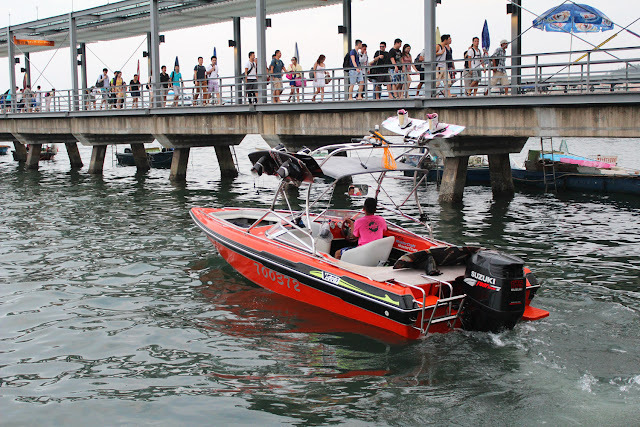 If you decide on the taxi option, expect to pay HK$100 for the half an hour ride from Sai Kung to the end of the route, past the East Dam. From there, you will need to follow the MacLehose Trail for half an hour to get to Long Ke. The path is safe and easy enough to hike with children. 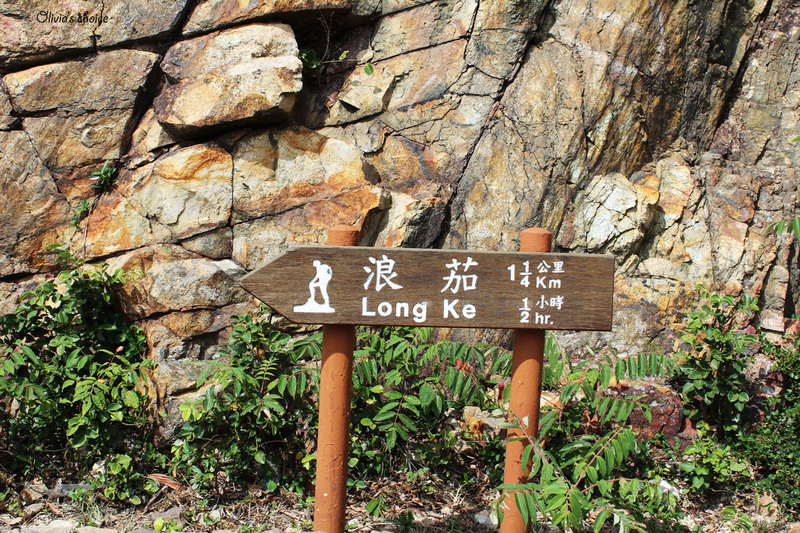 Once in Long Ke, you can camp for the night at Long Ke's campsite. Don't expect to find any shower though, all you get there is one single toilet. Long Ke doesn't even get mobile phone signal, but don't worry, I believe there is an emergency phone in case something happens. 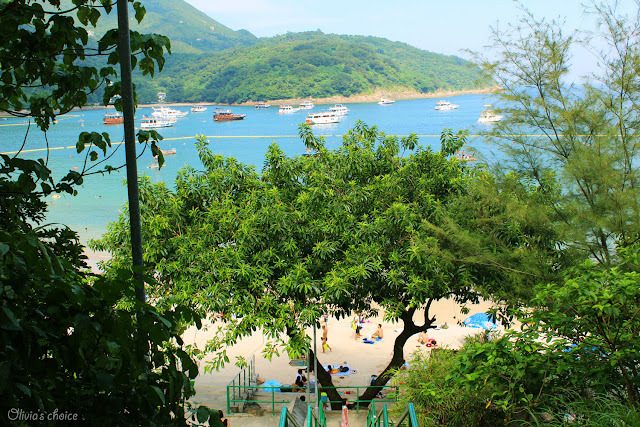 This is the prettiest and most relaxing beach I've ever been to in Hong Kong. Not a lot of people venture to it, making it the perfect spot to enjoy a beach day away from Hong Kong's frenzy. I'm not sure words can express the beauty of this beach that has become my favorite, but I hope these pictures will. 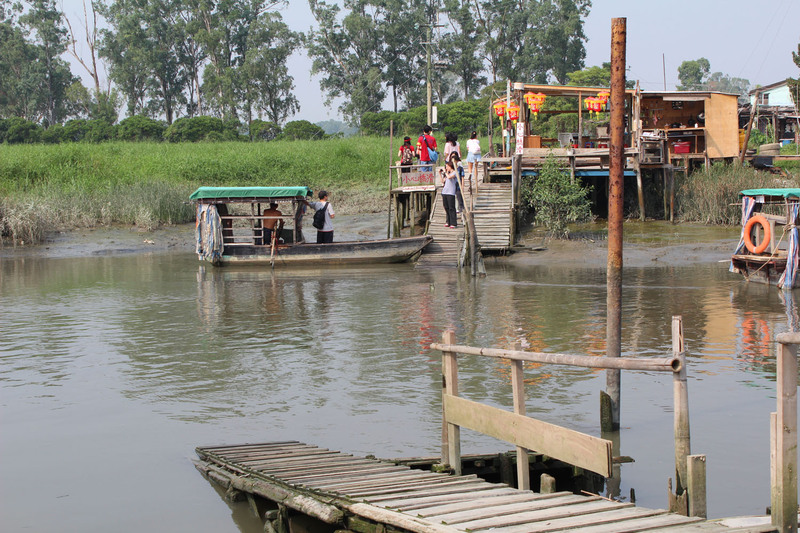 Our boat is leaving! Bye! Today has been a relaxing Sunday that I've spent running some errands and visiting family. I've been to Sham Shui Po, a district in western Kowloon, to buy some accessories for a sweater DIY that I have in mind. I can't wait to start sewing and share the result with you! 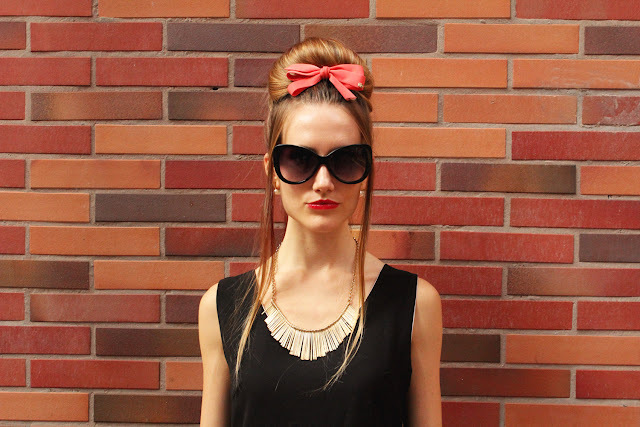 Besides, autumn will be here pretty soon, so I better start getting my closet ready! I don't want autumn to catch me in shorts and sandals! Speaking of which, shorts and sandals is exactly the outfit I decided to wear today, to pay a tribute to this wonderful summer'12 that hasn't leave us yet. I needed this lazy Sunday after an adventurous day yesterday... I went wakeboarding and boy am I tired today! 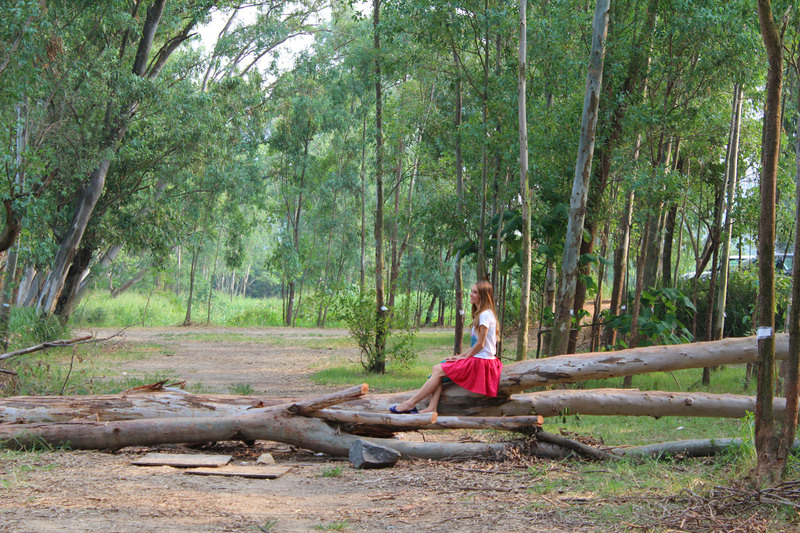 I'm now writing a post on it and editing the pics so that you can see how much fun it was! 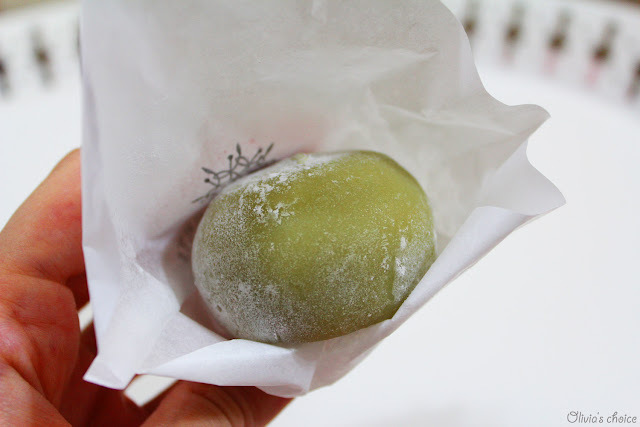 Today I want to introduce you to one of my favorite things in Hong Kong: japanese frozen mochis from Mochi Sweets. 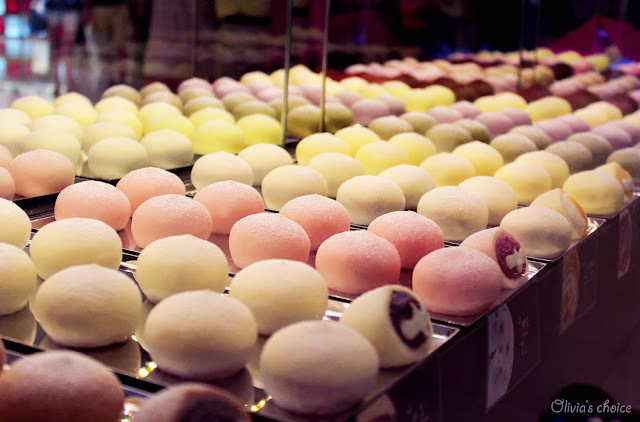 You already know about my obsession with cupcakes but what if I told you that I enjoy these japanese delicacies even more? 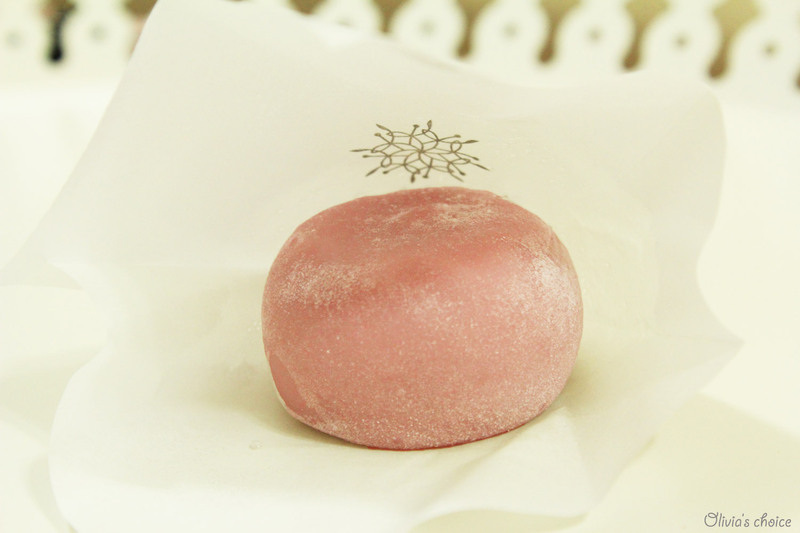 A mochi is a round-shaped rice cake made of glutinous rice, traditionally made in Japan in a ceremony called Mochitsuki. 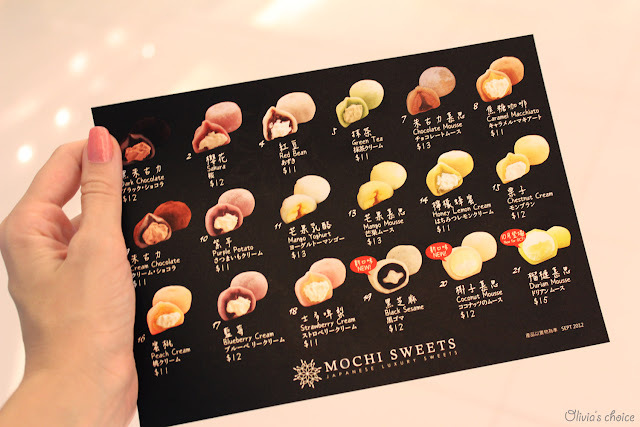 The mochis from Mochi Sweets are frozen and come with a flavored cream inside. 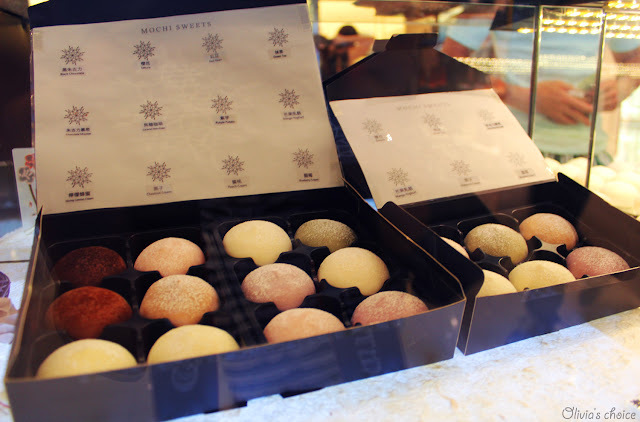 You need to wait 20 minutes in summer, or 40 minutes in winter, to eat them after purchase. They come in 15 different flavors, from the traditional Red bean to modern creations such as Mango Yoghurt or Chocolate mousse, with all the ingredients being flown in from Japan. I've tried almost all of them, and my absolute favorite is the Sakura mochi, followed by the Green tea mochi. I've tried many mochis in my life, even in Japan itself, from normal ones to the modern mochi ice cream, but the ones from Mochi Sweets are the most amazing of them all. 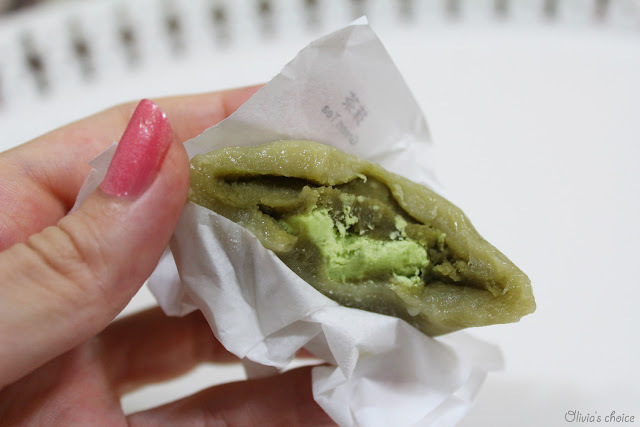 Perfect flavour and texture, I'm just totally addicted! 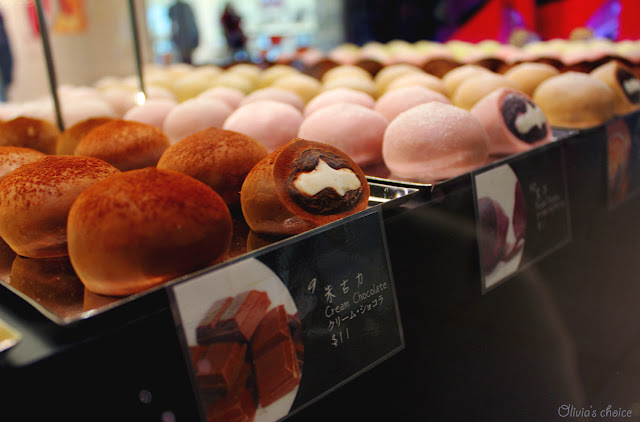 - L010 G/F, Jusco Kornhill Store, Kornhill Plaza (North), 2 Kornhill road, Quarry Bay. 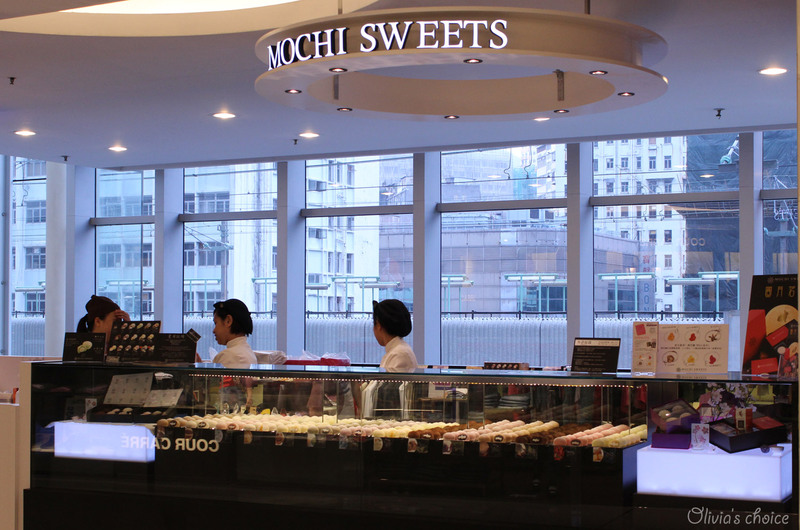 - Shop UC-SP4, Upper ConcourseLevel, APM, Millenium City 5, 418 Kwun Tong Road, Kwun Tong. - Basement Level 1, The Sun Arcade, 28 Canton Road, Tsim Sha Tsui. The one I always go to is the one in APM, Kwun Tong. Would I recommend it? Absolutely! This MAC lip gloss has been one of my best friends for almost two years. Wherever I go, he's always with me in my purse. 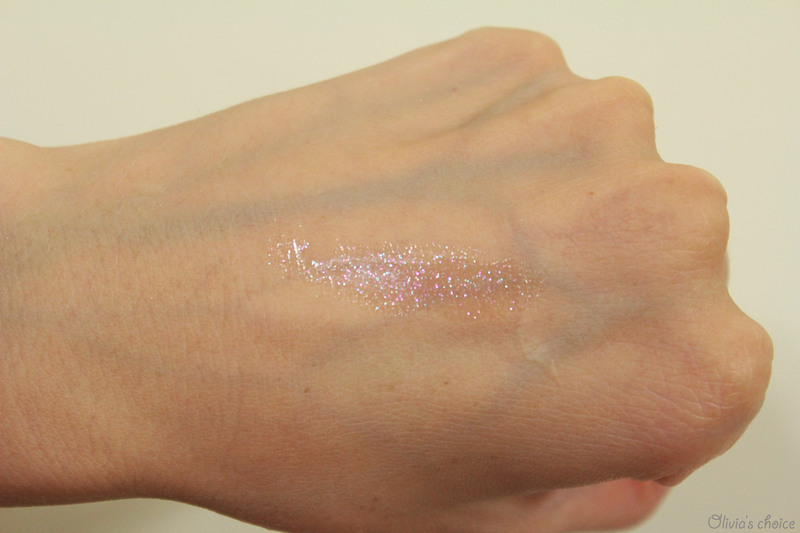 As you can see from the pictures, it's an iridescent pink-purple gloss with major light-reflecting sparkles, making for an incredible shimmer! It's wonderfully shiny, and this shade makes your lips look great either by itself or over a lipstick. I like that it comes with a brush instead of a sponge, it feels way nicer! Besides, I'm also deeply in love is its strong vanilla scent. Would I recommend it? Yes, it's a perfect lip gloss for any occasion. 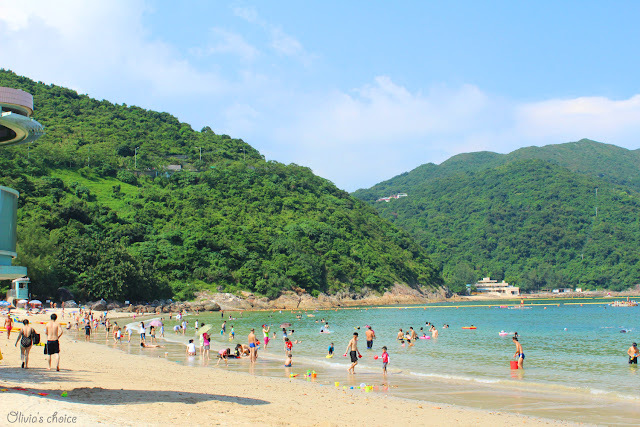 Last Saturday I spent my afternoon in Clear Water Bay. This beach is not as pretty as my favorite one that I reviewed here, but it's the most convenient one from my home, so I come here more often than not. 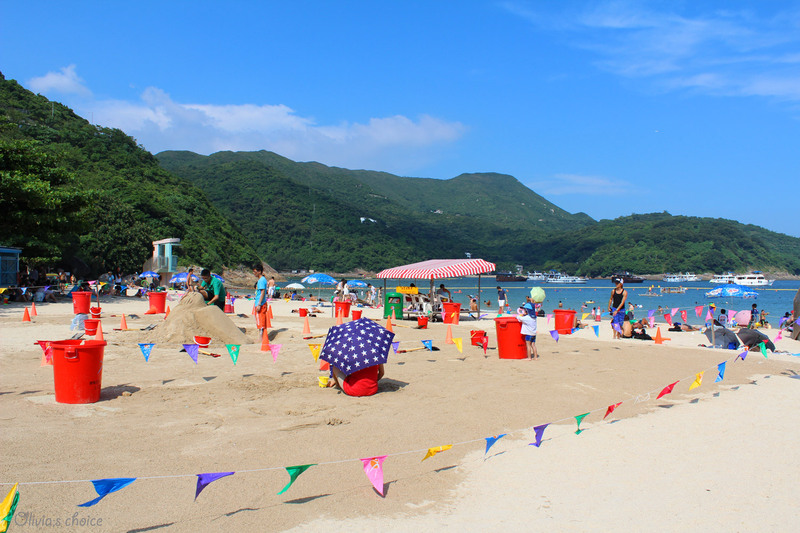 There's two beaches in Clear Water Bay, the 1st beach and the 2nd beach, and most people go to the second one because it's the one with the parking lot and it's bigger. 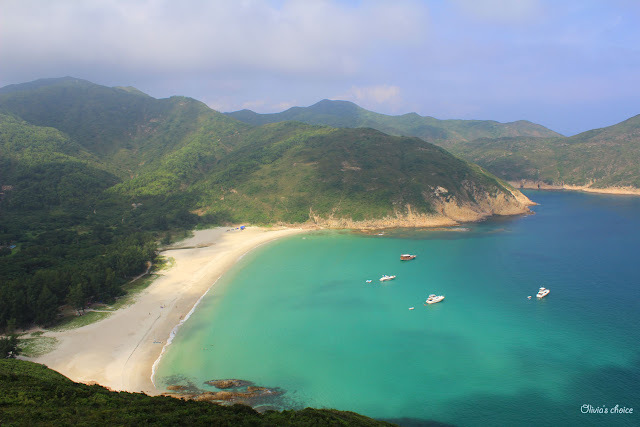 The sand is not of the best quality and there are some rocks inside the sea, but it's still a gorgeous beach! What I specially like is that there is an area for kids (or grown-ups!) to make sand castles or any kind of sand art.